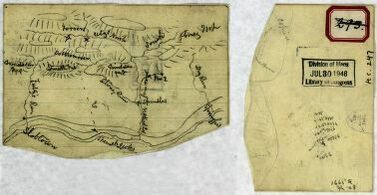 “I want you to make me a map of the valley, from Harpers Ferry to Lexington, showing all the points of offense and defense in those places.” Simple, but now legendary words which started the partnership of Jed Hotchkiss and Thomas J. Jackson, leading to the 1862 Confederate military triumph in the Shenandoah Valley. 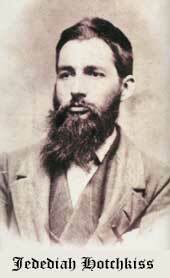 Jedidiah Hotchkiss was thirty-three when he received summons to report to headquarters in March 1862. His reputation had preceded him. The former schoolteacher had lived in the Shenandoah Valley since 1847 and spent his spare time roaming the region, collecting geological samples and drawing maps for his own enjoyment and to supplement income for his growing family. In June 1861, Jed had left home and family to soldier in Confederate General Robert Garnett’s western Virginia command. He started drawing his first military maps, but suffered from the long marches, poor health, and homesickness. After resting at home for much of the winter, Jed returned to the military. When General “Stonewall” Jackson started looking for a talented cartographer and observer of the Valley region, a friend recommended Jed Hotchkiss for the new job. Realizing that the few maps that did exist of the Shenandoah Valley were basically useless, Jed set out to survey and redraw the region. (More details below.) He continued with Jackson’s corps through 1863, creating maps of the areas where the troops marched and fought. After Jackson’s death in May 1863, Jed continued as a mapmaker, doing topographical engineering work for Generals Ewell, Early, and Lee and other Confederate Generals. In the post-Civil War years, Jed lived in Staunton in the Shenandoah Valley where he operated an engineering company and taught school. He kept up an extensive correspondence with friends and acquaintances, drew maps, and wrote a book with another one of Jackson’s surviving staff officers. Many of his personal papers, sketches, and maps have been preserved by Library of Congress and some are visible in the online archive. We’ll keep this short since the general wasn’t making the maps – just asking for them. Born on January 21, 1824, Thomas J. Jackson spent his orphaned youth in west Virginia before his arrive at West Point in 1842. Graduating in 1846, he fought in the Mexican-American War and won promotion to brevet major. After troubles with military fort duty, Jackson resigned and accepted a teaching post at Virginia Military Institute in Lexington, in the Shenandoah Valley. In 1859, he witnessed the hanging of John Brown which would send the United States on a fast-track to the Civil War. In April 1861, Jackson left Lexington, taking VMI’s senior class of cadets to Richmond to assist with drilling the volunteer Confederate troops. Later that month, he organized the 1st Virginia Brigade which gained its nickname and the general’s sobriquet – “Stonewall” – later that year at the Battle of First Bull Run. Returning to the Shenandoah Valley in autumn 1862, Jackson took command of the Valley District and prepared to defend the region against Union attacks. In March 1862, a defeat at the Battle of Kernstown forced Jackson to fall back and reevaluate how he would fight the campaign. That’s when he called for a mapmaker and started stigmatizing a campaign that is still studied for its complexity and success.Following the Valley Campaign of 1862, Jackson fought near Richmond in the Seven Days Battles, at Cedar Mountain, Second Bull Run, the Antietam Campaign, and Fredericksburg before his injury and subsequent death at the Chancellorsville in 1863. To note “all the points of offense and defense” required detail. More detail than would fit on a typical, large sheet of paper. Jed Hotchkiss’s famed map of the Shenandoah Valley was so large and complex that it finished between nine and ten feet in length. With that amount of space, Jed could zone in on the topography and really show the region. Created from measurements and sketches collected during rides and walks, Jed’s map was praised for its accuracy. With this creation – which he was always improving at every opportunity – Jed offered Confederate generals in the Shenandoah Valley an advantage that the early Union commanders lacked: an understanding of the topography and how to use it militarily. Along with his map, Jed brought inside knowledge to Jackson. The general was familiar with the Shenandoah Valley’s main roads and towns, but he hadn’t ventured much beyond the stagecoach route. Jed knew the Valley intimately from his years of hobbyist explorations, and when he returned to headquarters with his notes and map sketches he also brought details about road conditions, soil qualities (which would help determine how the roads would be in a rainstorm), and other scientific details which gave Jackson the inside scoop on his marching roads and battleground. When Union General Banks advanced on Winchester and his buddy General Fremont maneuvered in the Allegheny Mountains area, the Confederates evacuated Winchester and headed to Mount Jackson to reorganize. 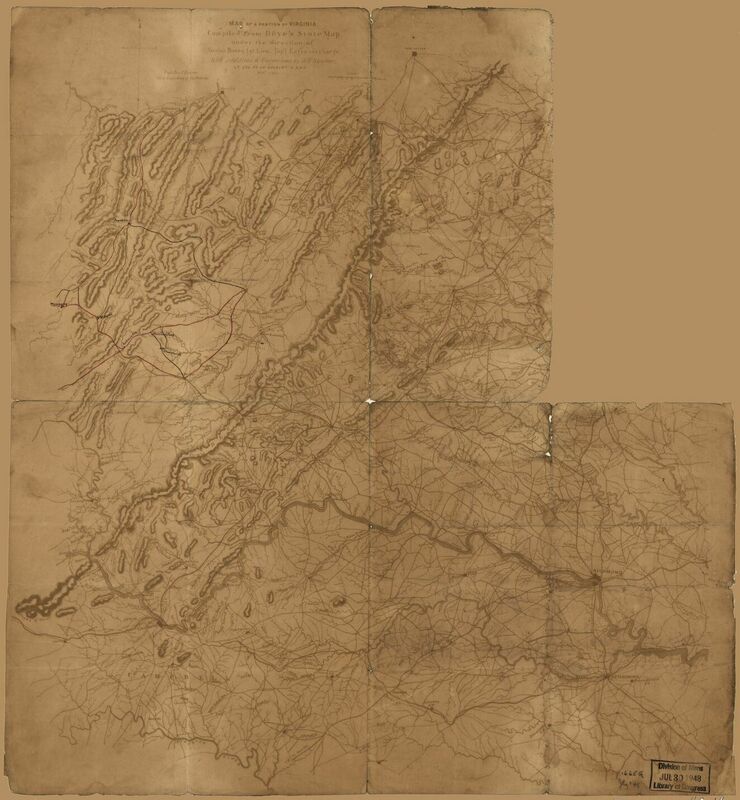 Returning north on March 23, Jackson fought the Battle of Kernstown; defeated he pulled back to Rude’s Hill and ordered up some good maps. As the Union strengthened their hold on Winchester, General Banks came up to Strasburg and built defensive forts, and Yankees advance from other directions; General Jackson moved to Swift Run Gap which allowed him to cover the rail lines at Staunton. Confederate General Ewell arrived with reinforcements and in May, General Jackson ordered him to advance while General Jackson took his troops into the “unknown.” General Jackson and troops marched through Waynesboro and Staunton and fought the Battle of McDowell on May 8, defeating two Union generals. Retracing his steps, General Jackson and General Ewell prepared to advance on Banks at Strasburg. 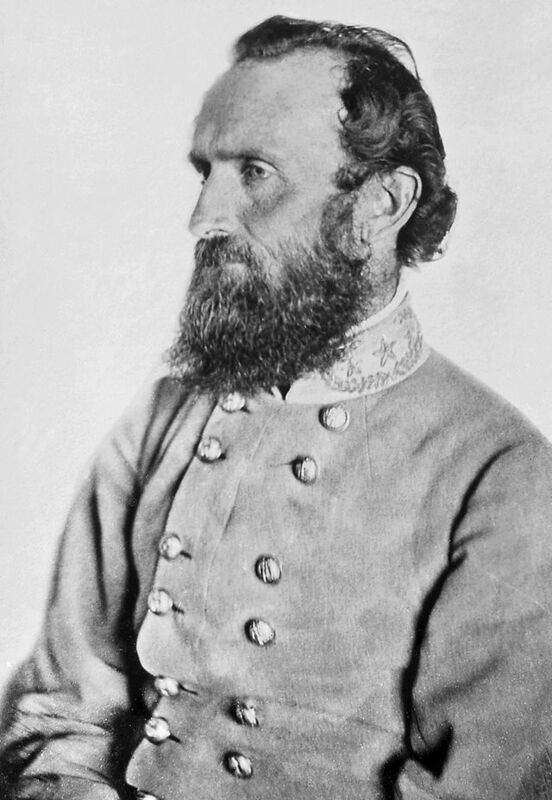 Advancing, the relatively small Battle of Front Royal was fought on May 23, which prompted General Banks to abandon his position at Strasburg and start pulling back toward Winchester. Traveling by different roads Generals Jackson and Ewell led their troops down the valley in a skirmishing pursuit on the flanks of General Bank’s army. The First Battle of Winchester on Sunday, May 25, 1862, resulted in the Confederate captured the town’s defenses and a Union rout. 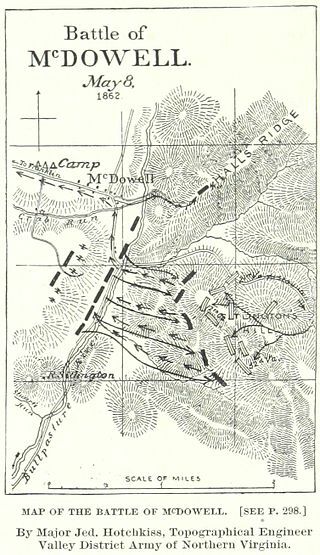 Hotchkiss’s sketch of the Battle of McDowell. The Union armies rallied and prepared a trap for Jackson. However, by quick maneuvering, the Confederate out marched and outfought their opponents at Port Republic and Cross Keys on June 8 and 9. In summary, the Valley Campaign of 1862 resulted in 6 battles, 48 days, approximately 646 miles of marching for Southern troops, and a Confederate victory which had strategic impact in the overall war plans. Jackson accomplished this feat with approximately 17,000 exhausted soldiers…and some excellent maps – forcing about 52,000 Union soldiers to temporarily abandon their attempts to take the Valley. P.S. A story about Union mapmaking successes next week!